Our IIAG Astrology Training Centre is a one-stop-place where one can avail the best trainings and courses for Astrology, Kundali making etc. Our centre offers all these astrology courses for the learners at affordable charges. We have appointed skilled and experienced astro professionals for every course. 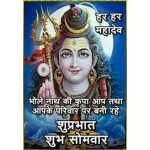 They give proper training and assistance to the students and learners to explore every concepts of astrology. Our experts train the learners to sort out personal, professional, physical, money, love, marriage, and other issues of an individual's life through Astro science. After gaining command over all aspects of Astrology, you will be able to start your own business or work as a professional in this domain. 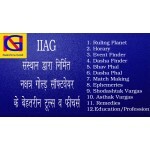 Keeping shortage of time in consideration, IIAG Institute has provision of 15-day course in which all subjects related to astrology will be taught through Nakshatra Gold Software which is created by IIAG. This software is based solely on the Krishnamurthy method, which will give you complete information about astrology in a short period of time. Now onwards, there will be no need to spend time on calculations and memorize rules. All these options will be readily available in the software. All of us believe that astrology is a vast field, but you can understand all the mysterious topics of astrology in a short span of 15 days. If a person does not understand the subject matter well during the 15 days training then the institution will also support in the future without any additional charge.